Odin is a Windows-only program, designed by Samsung themselves, used to root, flash, upgrade, and restore Samsung phones using special firmware files specific to your model. 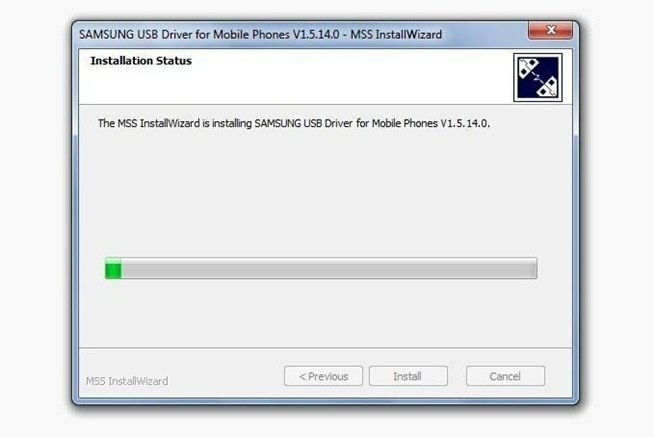 The latest Samsung USB drivers. These are universal. The latest version of Odin (3.07). The latest firmware file for your model phone. Via the link, select your device from the pull-down menu on the left to download the file. If you don't know your model number, you can find it via Settings -> About Phone on your device. The appropriate device-compatible CF-Auto-Root file. The app ROM Manager (free version). Start by downloading and installing the USB drivers onto your Windows computer. 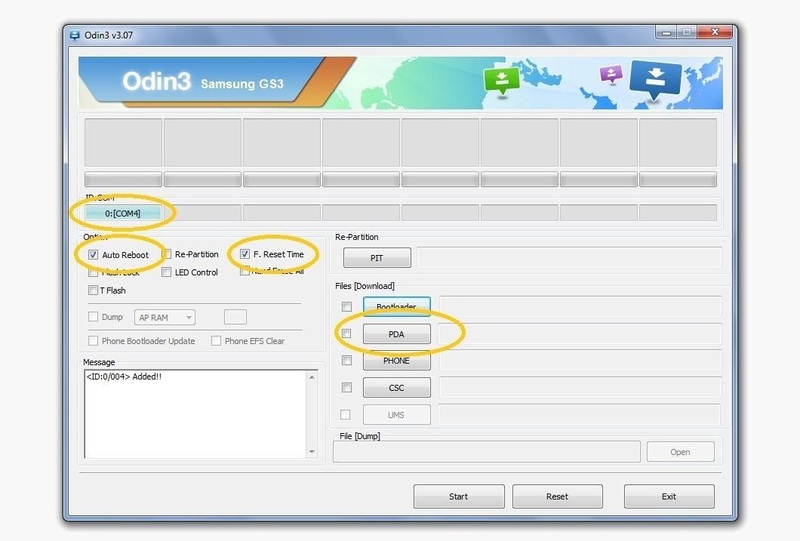 You'll need them to properly connect your Galaxy S3 to your computer with Odin. You may be prompted to reboot your computer after they're installed. 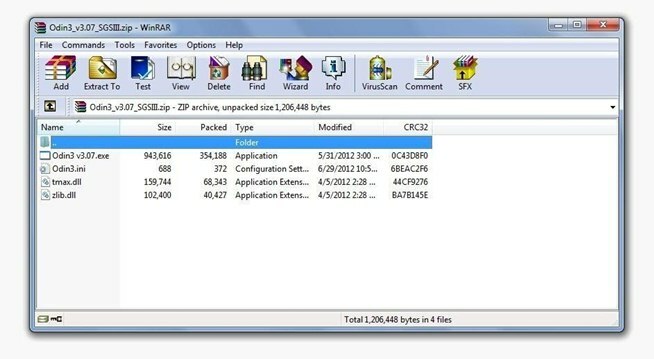 Using the provided link, download and unzip Odin onto your desktop. The software does not need to be installed, just extracted. 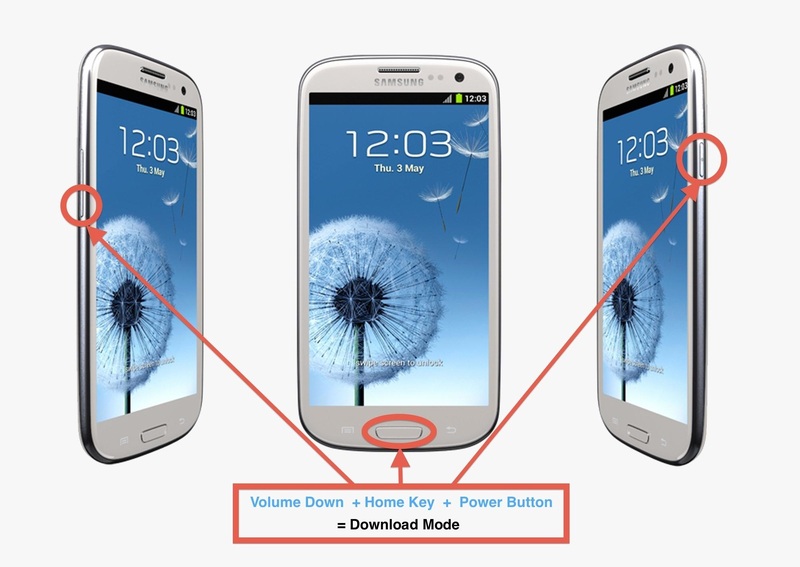 Turn off your GS3 if it's on. If your phone is stuck or frozen, take off the back cover and remove the battery then put it back in. Press and hold down the Home Key, Volume Down Key, and Power Button at the same time until the Samsung screen shows. Your phone will boot into download mode now. Connect your GS3 to your computer with the included USB cable that came with your phone. Go into the Odin folder and open the Odin app. Under "Option", make sure "Auto Reboot" and "F. Reset Time" are checked. Under "ID:COMM", "connected" should be showing. This just means Odin sees your phone is connected and is ready to begin flashing. Extract the firmware you are flashing (you should have already downloaded it). Click "PDA" and go to the folder with your file. Find and click on the file that ends in "tar.md5". Click "Start" to begin flashing. Odin will display the current progress during the flashing. Your device will automatically reboot once the process is complete. Your device will reboot into stock recovery. From there, reboot. Now your device is rooted, but you are going to want to install a custom recovery to replace the stock one. This will enable you to flash custom ROMs, make complete system backups with ease (nandroid), partition your SD card, and much more. Open up ROM Manager on the GS3. 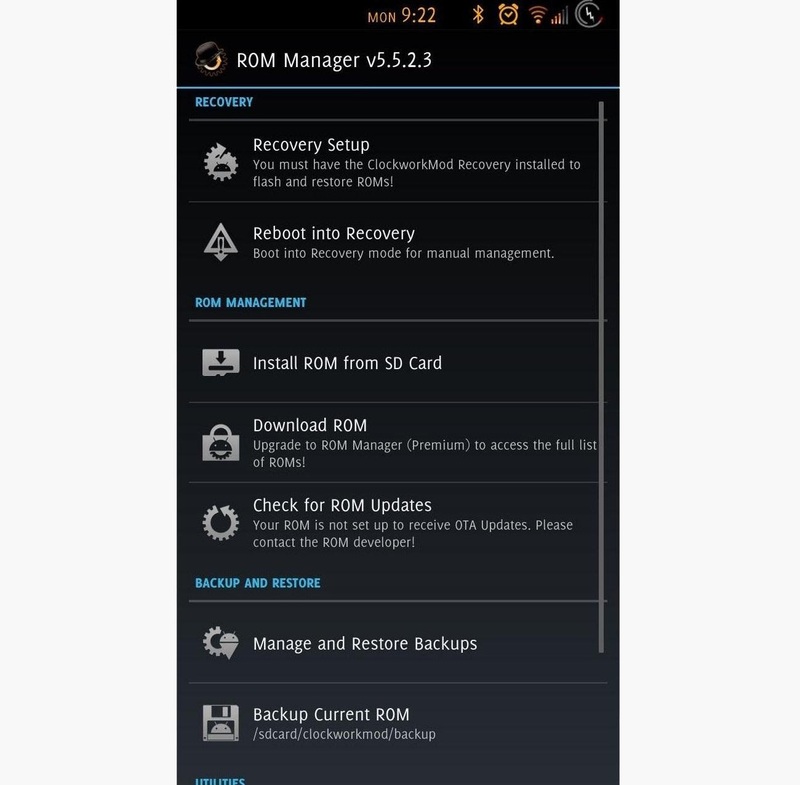 Select "Recovery Setup" and install either ClockWorkMod Recovery (CWM) or Team Win's Touch Recovery (TWRP). After installing recovery, you are all set! Auto Reboot and F. Reset Time: Reboots the phone after the flashing process is complete and resets the phone's internal flash counter. These two always should be checked. PIT: This is a file that describes the layout of the partitions on your phone. Some firmwares already have this file included. PDA: The phone's complete OS. PHONE: The phone's radio and baseband (responsible for connecting you to your carrier). CSC: Determines specific country information and settings for your phone. 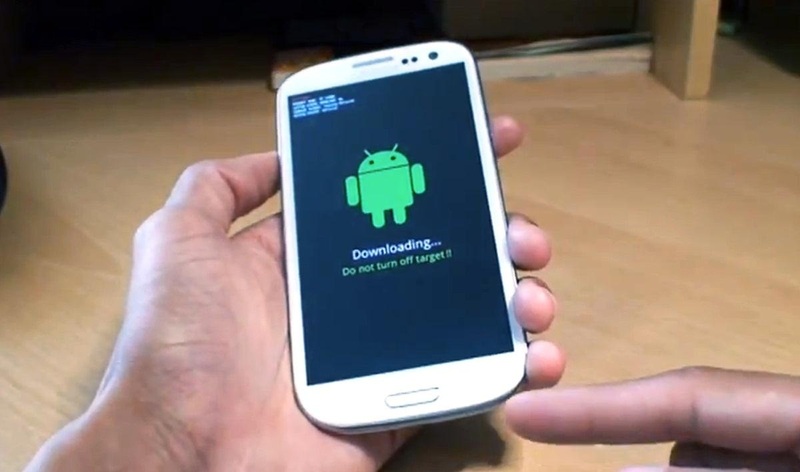 0 Respones to "How to Root Your Samsung Galaxy S3 (And Flash Stock ROMs) Using Odin for Windows"